Nursery Rhymes and Fun Times: Ultimate Blog Bash! About Me: I'm a stay-at-home mom to two precious little ones (ages 2 and 1). Before having children, I worked in higher education. My seminary work was in Christian education (children's and youth min) and I love being able to use my education on my two most important students: Jonathan (2) and Grace (1). ~ We are currently going through the Bible in a year (albeit focusing on toddler-friendly Bible stories) and I write up our lessons most Wednesdays (when I'm not in the middle of potty training). ~ We are book lovers, and we are trying to read all the recommended books for toddlers/preschoolers we can find. I'm influenced by Charlotte Mason in that regard-- love living books! ~ We also do some Montessori-inspired activities, which I think are wonderful for developing practical life skills. Sometimes I share recipes, or updates on personal projects. This blog is basically a chronicle of our nursery-rhyme filled days! Thanks for stopping by! If you want to learn more about me, you can read my 100 things list. Thanks for sharing your blog. 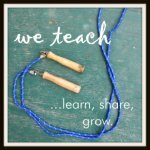 I'm a homeschooling mom to a four and seven year old. Sounds like your education comes in handy every day! Visiting from WLW. Big book fan here too. 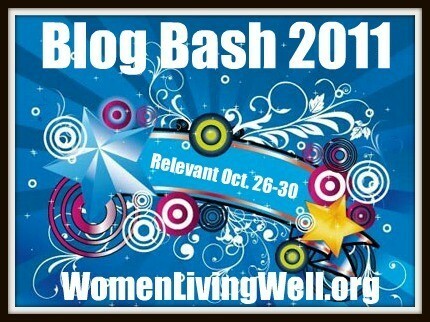 Stopping by from the WLW bash. I am so glad I found your blog and read your RSS feed every day! Thank you for the wonderful things you share.